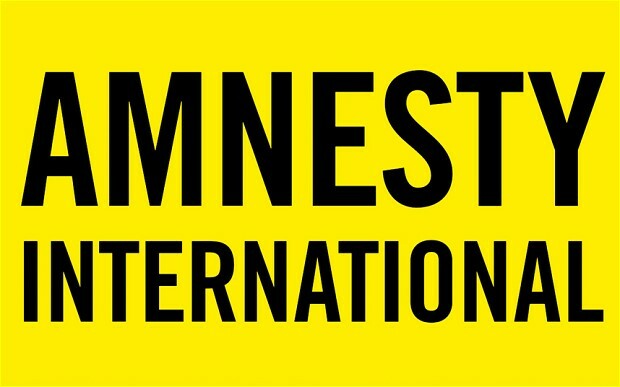 The frequent abductions and kidnappings of the Indigenous People Of Biafra is being investigated by various human right organisations, including Amnesty International, an outstanding and strict human right organisation,that is bent on fighting against the barbaric and grave violations of human rights. The recent abduction of Mazi Obasi Chucks Sunday in his residential home at Nnewi Ichi Anambra State on the 17th of August 2016 to an unknown destination with gunshot wound has been investigated by Amnesty International, as currently no one knows his current whereabouts. IBEH GIFT AMARACHI OF FAMILY WRITERS and Amnesty International visited the scene of Obasi Chucks Sunday's abduction and a detailed report was taken. Furthermore, another abduction of the Abia State Coordinator Ikechukwu Ugwuoha who was recently released from Prison on the 11th of August and other Abia State IPOB Excos Asochukwu Ugochukwu,Sunday J. Okafor,Joseph Okorie and Ekene Onuoha. Amnesty International have investigated the ambush which was laid on an IPOB activist by name,Obasi Chucks Sunday who was abducted on the 17th of August 2016 in his home by 9pm by the Nigeria State Security(DSS). Everyone in the Two Storey building scampered for their life as the Nigeria DSS laid ambush on the IPOB principle officer and immediately he drove into his compound, a sporadic gunshot which tore the sky and made the neighborhood to run for safety was exhibited by the DSS. An eyewitness of the incident Mr. Friday stated " I was going back home and sighted two vans mounted along the road, as I came closer, gun shots was heard in the air and I was forced to lie down by the armed men with bullet proof vest. I did so and heard one of the armed men asking his other partner to help him, put someone in the boot, without knowing is my neighbor Obasi Chucks Sunday. When they finished and were about going, I copied their Car number which is FGG996AG". The neighbours and family members who were interviewed stated that, the sporadic gunshot kept all of them intensely scared and as they abducted Mazi Obasi Chucks Sunday with gunshots when they heard him scream for help, they scampered for safety as the gun shots was too heavy and they waited until morning, since the incident occurred by 9pm. The Family members were interviewed and a bullet which belongs to the Nigeria DSS was investigated. The Nigeria SAARS office of Nnewi, State CID and several Police Stations were visited. When the bullet was thoroughly investigated, it was confirmed the DSS owned it and laid ambush on him. It was reported by the younger Brother of the victim Mr. Emeka Obasi that, the Police came to their compound and made away with the bullets in order to clear the scene of the event, but fortunately he reserved one of the bullets which led to a trace of the DSS. On that note, Amnesty International will be raising an alarm to Embassies, Medias and several other human right organizations on Obasi Sunday Chucks,Ikechukwu Ugwuoha and other IPOB Principle Officers. And we believe these abductions and kidnapping of IPOB Family members by the Nigeria Government will be addressed, put to a stop and the perpetrators of such evil will be brought to book.